• Dona Munker is a published author and lecturer. 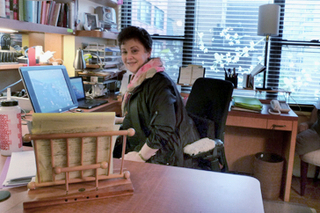 She is the writer of DAUGHTER OF PERSIA, which she co-authored with Sattareh Farman Farmaian. Both a memoir and a history of modern Iran, it has received international praise for its readability, authenticity, and the quality of its writing. A former trade book editor, Dona also has a PhD in English literature and has taught at Hunter College in New York and at the University of Giessen in Germany. Dona's current book is SARA AND ERSKINE, AN AMERICAN ROMANCE. Sara Bard Field was an unhappily-married Baptist minister's wife until a passionate affair with the married attorney Charles Erskine Scott Wood, a controversial philosophical anarchist, gave her the courage to leave her husband. In the years that followed, she transformed herself into a nationally famous suffrage orator, a respected poet, and an "anarchist and free-lover" who risked everything, including social opprobrium and the loss of her children, for the sake of a union with the man she considered her soul-mate. Drawing, among other sources, on Sara's own accounts and on thousands of letters between the couple, their family members, and people in their circles (including Lincoln Steffens and Clarence Darrow, who introduced them), Dona is using the detective work a biographer does to construct an intimate, step-by-step account of Sara's emotional and political awakening and the evolution of her affair with Erskine. Her goal is to give readers a window not only into the lives of the two lovers but into the world they inhabited. Dona maintains this website for anyone who is interested in the writing life, historical research, or the creative processes of biography. On her blog, "STALKING THE ELEPHANT" she holds forth on writing SARA AND ERSKINE, the craft of biography, and the writing life. She also posts longer articles on the art and craft of biography at SPEAKING OF BIOGRAPHY: Articles on the Biographer's Craft and keeps a list of RESOURCES for biographers. She welcomes comments from her readers. The Not-Hollywood. L.A. as Angelenos know it. 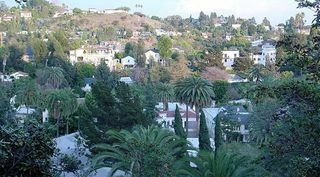 • I hail from Los Angeles and spent my formative years on Beachwood Drive, in the shadow of the Hollywood Sign. When the glamor of my birth didn't take, I moved with my parents to Pasadena in the San Gabriel Valley, where I attended Pasadena City High School. I have a BA in theater arts from the University of Southern California, an MA in English with a concentration in fiction writing from Indiana University, and a PhD in English from New York University. I taught English at the University of Giessen in Germany and at Hunter College in New York, then went into trade (general interest) book publishing. I worked as a trade editor at Little, Brown & Co. and Arbor House Publishing (Hearst Books), and for Time-Life Books as a trade consultant and freelance editor. In addition to DAUGHTER OF PERSIA with Sattareh Farman-Farmaian, I am the author of a very short book called HOW TO WEAR HATS WITH STYLE, which is about how to wear hats with style. I live in an oddly-shaped apartment house on New York's Upper East Side with my German-born husband and ex-pen pal (which may explain why I'm interested in snooping around in other people's letters). I still love to teach, as I do living in New York. At the same time, I continue to think of myself as a native Californian and return there whenever I can. • PROFESSIONAL ACTIVITIES: I have reviewed in the New York Times Book Review and Publisher's Weekly and written for scholarly and literary publications. I have conducted workshops on writing and publishing at New York University and the New School University, and guest lecture in publishing at the City College of New York. Several of my articles for The Biographer's Craft, the online members-only newsletter for biographers and lovers of biography, are on this website (tag: "TBC articles"). I was a co-founder of Women in Publishing, an organization for trade editors and literary agents. I am on the board (currently on leave) of Women Writing Women's Lives, an independent discussion group of women biographers founded in 1990 by biographer Deirdre Bair and the late Carolyn Heilbrun and now under the aegis of the City University of New York Graduate Center's Center for the Humanities and the Center for the Study of Women and Society. I am also active in a number of other biographers' groups, including Biographers International (BIO), for which I serve as New York correspondent. In addition, I am a member of The Authors Guild, The Woman's National Book Association, and The Biographer's Club of London. REGULAR READING: The New York Times, The New Yorker, GalleyCat.com, The Biographers Craft. FAVORITE BIOGRAPHY: Claire Tomalin's Samuel Pepys: The Unequalled Self. WRITER WHO HAS INFLUENCED ME THE MOST: Historical novelist Mary Renault. BOOKS I WOULD MOST LIKE TO HAVE WRITTEN: David Lodge's Small World; Nicholson Baker's The Anthologist. ENTHUSIASMS Akira Kurosawa's "Seven Samurai." • Anna Karenina. • Lyndall Gordon's Lives Like Loaded Guns. • Brian Lehrer, New York City public radio host; Gail Collins, New York Times columnist (anything they care to say, on any subject). • Jonas Kaufmann, awesome Wagnerian hunk. SERIAL BAD HABITS: Watching reruns of "Star Trek: The Next Generation" and rereading Patrick O'Brian's Aubrey-Maturin novels. Again. STALKING THE ELEPHANT is my blog about writing biography, the writing life, the nonfiction creative process, and of course SARA AND ERSKINE, AN AMERICAN ROMANCE, my work in progress on the World War One-era minister's wife and suffragist, Sara Bard Field, and her extraordinary affair with the outspoken atheist and philosophical anarchist, Charles Erskine Scott Wood. • All material on this website Copyright © 2005-2016 by Dona Munker except where expressly stated or contributed by others. Copying, altering, or reproducing this material in any form without written permission is prohibited by law and may be prosecuted regardless of the venue or purpose of the copying.